Dental bridges are comprised of two or more crowns and one or more false teeth, called pontics, to fill in gaps from missing teeth. Bridges help keep natural teeth from moving, aid in the chewing of food, improve smiles and help maintain the natural shape of the face. There are three types of bridges available: Maryland bonded, traditional and cantilever. To create a bridge, multiple dental visits may be necessary depending on the size of the gap. 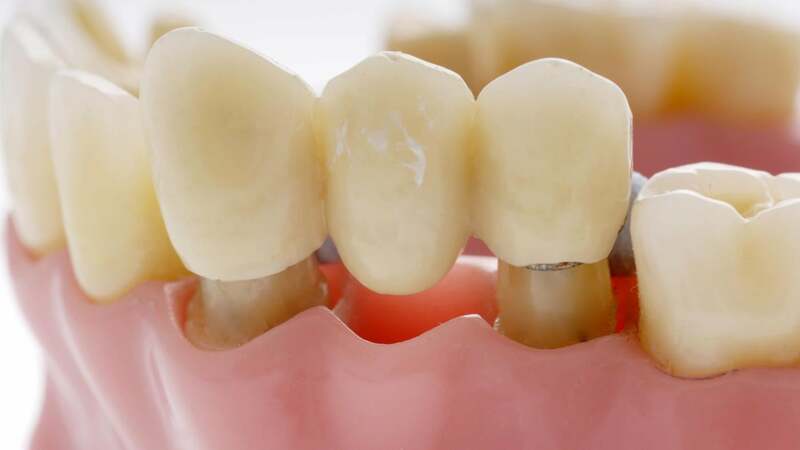 A temporary bridge reduces pain and discomfort associated with eating and protects exposed gums and teeth until a permanent bridge is set into place. What Are the Materials Used in Dental Implants? What Type of Positions Are Available in Dental Practices? What Are Some Ways to Get Low-Cost Dental Care?